Tags: Dave Ulliott, Devilfish, partypoker, poker documentary. 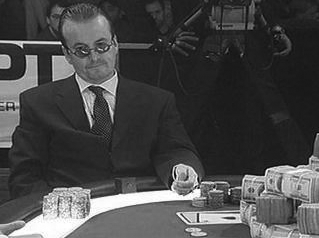 Dave "Devilfish" Ulliott starred on Late Night Poker on Channel 4, a program that began in 1999 that tremendously helped in popularizing the game. It was actually the very first poker show to utilize the "hole-cam" technology, forever revolutionizing poker for the audience and since then has become one of the primary staples in all other poker TV shows that followed. Ulliott was identified as the player with a slicked-back hair, tinted glasses and sharp suits. On the Late Night Poker show, he was undeniably considered to be the first poker star on TV. In the 1997 WSOP, he outlasted a 247-player field to earn a bracelet in a $2,000 Pot Limit Hold'em event. In the 2003 (World Poker Tour) WPT, he added a title to his name after defeating Phil Ivey in a heads-up match at the WPT NLHE Championship in Tunica. It was in 2017 when the poker community inducted both Phil Ivey and the late Devilfish into the Poker Hall of Fame. The award came two years after he lost his life to cancer. It was back in February 2015 when he was first diagnosed with colon cancer and unfortunately died because of it on April 6, 2015, at the age of 61. In January 2019, fans of the Devilfish can watch Part 1 and Part 2 of the documentary on demand through partypoker TV (partypoker account required - CLICK HERE if you don't have one already). Don't have an account yet at partypoker? Click here to join! It's free to register and watch the documentary! 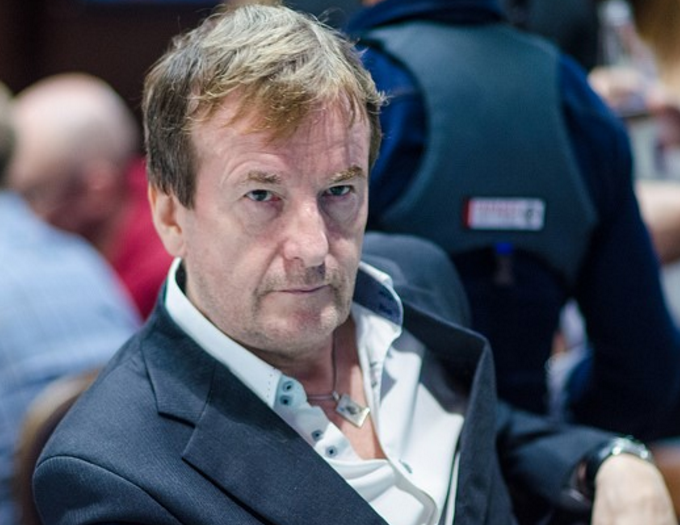 13 comments for "partypoker releases Three-part Documentary in Honor of Dave "Devilfish" Ulliott"
that follow players. their lives and results. This player has an interesting life story. I watched him on TV many years ago and i liked how he played. He is part of the old players who have shown the world what the hold'em poker game means. He deserves this documentary in his honor. yeah,he was something special!he had his style of playing poker,his appearance on table and tv was unique!I was very young when I starte to watch poker on table and you tube and he was one of first persons!he had his own poker room,but dont know how that finished! A legendary player who has done a lot to promote poker in the world. Thanks to such players, poker has turned from a game for underground rooms into a sport that is loved by millions of people around the world. He certainly deserves to be shot about this documentary! just can hope that this video will show up later on you tube and any other platform,site or something other that party casino site!dont want to be registered somewhere just beacause of this video!but I will watch video when it come and as I see it will be good story about him! One thing I wish partypee would produce is a better software already. I get it, they pay tribute to someone who is considered a seasoned pro and having a legendary status but I wish they would spend the same time and money finetuning their own things as well. its bad when you read something like this,that he died beacuse of cancer and not on normal way,especially when is person who live full life and enjoy in life,gambling,friends and everything that it come!he had money,but he knewt how to spend his life which in not case for every player! He probably had a decent amount of stress as well, gambling does that to you - it's far from having a healthy lifestyle. yeah,its not easy,but on other side who know how he got that cancer and is it from stress,food,family thing!but as we see in this trailers,he had few hobbies,had friends to enjoy and its to bad when life must end on that way and in earlier ages! Cancer can often be treated, but when it is not detected in time, it happens as in this case and nothing can be done. I liked it a lot when i was watching at TV and i see how Dave "Devilfish" Ulliott play. It was a pleasure to watch his talent and it was a time when i started to like this Holdem poker game.